Martin didn’t vote against the Referendum Bill as he never opposed the British people having their say. But he passionately believes that Brexit is wrong for this country. He still believes our future safety, prosperity, environment and culture will all benefit from continued membership of the European Union. Even Leave voters must now despair of the Conservative government’s inept and disunited approach to the EU negotiations and subsequent parliamentary car carsh which still risks the UK dropping out of the EU in April without a deal, like a crate of eggs off the back of a moving lorry. Thankfully the House of Commons has at least passed a bill to stop that happening although it is not yet law. Theresa May’s proposed deal (supported by Cheltenham’s loyalist Conservative MP but repeatedly defeated all the same) would take the UK out of the EU but tie us to rules for years over which we would no longer have any say – and long before we know the real detail of any final deal that might one day be done. Martin supports the British people having the final say on the Brexit plan, whether that is Theresa May’s deal or no deal, with the option to vote to remain in the EU after all. An enormously important cultural, educational and scientific benefit to the UK, and in particular for future generations. Sadly, the vote for Brexit has already damaged the UK. It was followed by an immediate drop in the value of the pound which has been maintained as business confidence and investment has faltered, the NHS, public sector and many companies now face a crisis in recruitment and retention of valued European staff and young people feel rightly cheated of their future work and study opportunities. There is good evidence we have sacrificed as much as 3% GDP growth since the vote. 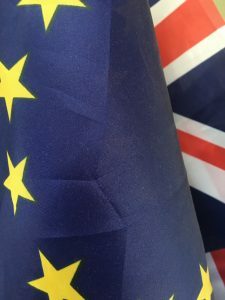 The Conservative government’s inept handling of the Brexit negotiations and subsequent parliamentary votes has added to the uncertainty, amongst businesses large and small and amongst Leave and Remain voters alike. The government used European residents of the UK as bargaining chips when they could have guaranteed their unqualified right to stay at once and got the negotiations off to a positive start, moving on to the crucial need for a trade deal as fast as possible. Instead we had often aggressive and often wildly unrealistic statements accompanying talks which barely seemed to have got off the starting blocks as to the clock ticked down towards a ‘hard’ Brexit of tariffs and trade barriers, lost opportunities and an uncertain future for longstanding UK residents. And despite losing her majority in a General Election called specifically to back her approach to Brexit, Theresa May refused to involve MPs of other parties in her planning until days before we were due to leave. Even now, the Prime Minister’s proposed deal – the only one actually agreed by the EU – requires the final consent of all 27 other EU states to a later, fuller negotiated treaty, still hasn’t resolved the Irish border question and would us subject to many EU rules and regulations despite having no say in them because we would have legally left the Union. It seems doomed to be defeat in Parliament anyway and the Brexiteers cannot agree amongst themselves which of the many arcane alternative variants on offer they want to try to negotiate with the EU or whether to leave without any deal. So the UK still faces apparently endless uncertainty and the risk of falling out of the back of the European Union with a very nasty bump indeed. The only way to break the logjam, is for the Brexiteers to agree what kind of Brexit they actually want and the EU will agree – at the moment that means Theresa May’s deal – and put that back to the people in a second People’s Vote. Remain voters who are persuaded by the actual deal on offer can switch to Leave, while Leave voters who think the actual deal on offer is worse than staying in can vote to do just that. A lot of the content of this website was created when I was the Lib Dem MP and parliamentary candidate for Cheltenham. So as well as content about Leckhampton, it includes lots about me, the Lib Dems, our campaigns and about Cheltenham (including profiles of all its former MPs back to 1832 and a bit beyond).